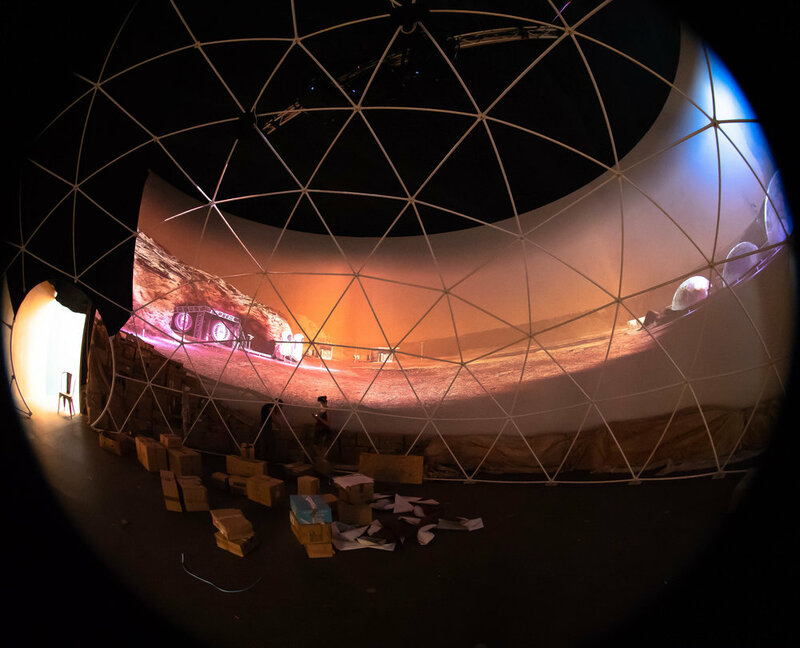 Climb aboard the spaceship and blast off to discover the wonders of the universe, before you find out what it’s really like to live on Mars. 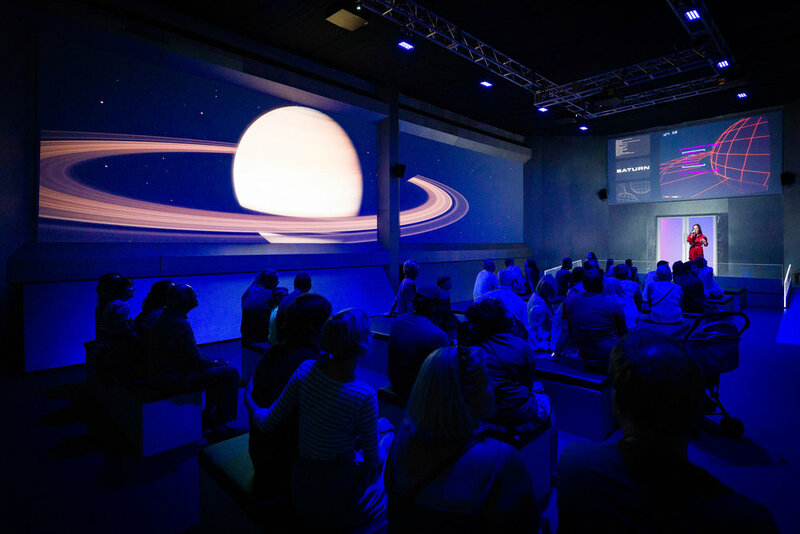 See all your favourite cosmic phenomena up close, as you fly by the moon and take a tour out beyond the Milky Way. 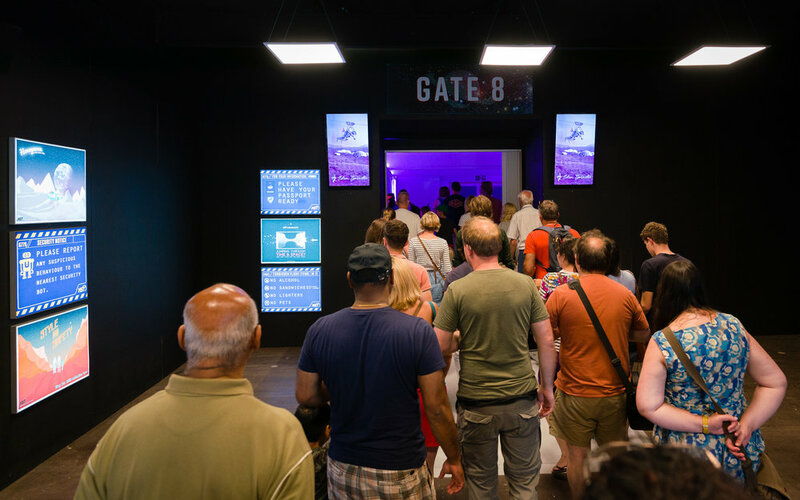 Have your boarding passes ready; the crew is waiting to meet you in the departure lounge! 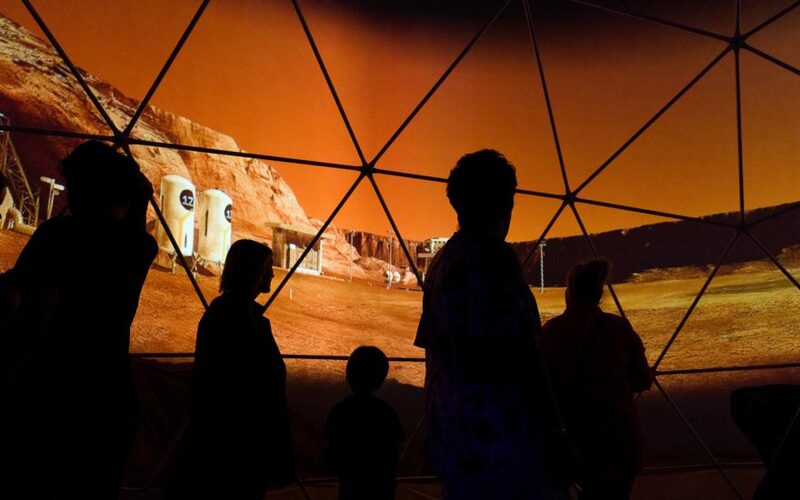 Story Juice was writer and director for Mission to Mars, an epic 30-minute immersive experience that blasted audience members out of the atmosphere to tour the universe and land on Mars for a holiday of a lifetime. 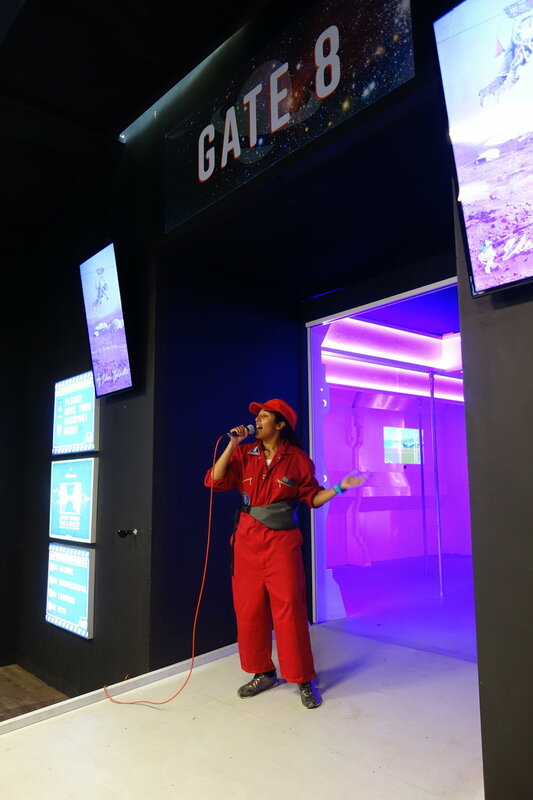 Set in 2080, visitors were greeted by space tour guides as they entered a futuristic space port, before boarding a rocket, blasting out of the atmosphere (the floor shook), flying by the Moon, touring the cosmos, surviving some peril and landing on Mars. It fused live performance, interaction design, large scale and half dome projection, immersive audio, futuristic sets and the wonders of the universe into a seven-scene spectacle for the whole family that reflected on the fun and harsh realities of space travel and a potential future on Mars. 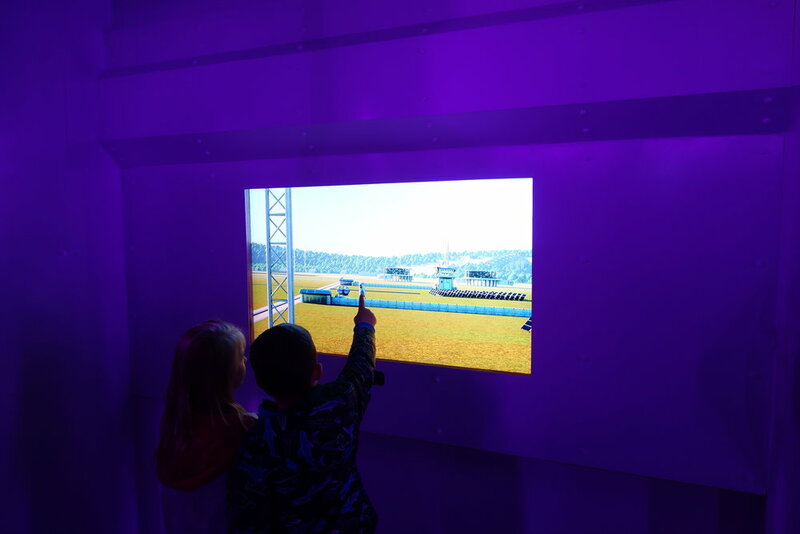 The experience was a collaboration with Eden Project and the National Space Centre and formed part of Eden’s Expedition Space exhibition, which ran daily throughout the 2018 summer holidays. The Eden Project attracts a million visitors a year.